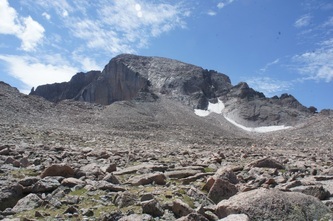 This is meant to be more of a route description than a trip report but I figured it was worth sharing due to the lack of information on this route. 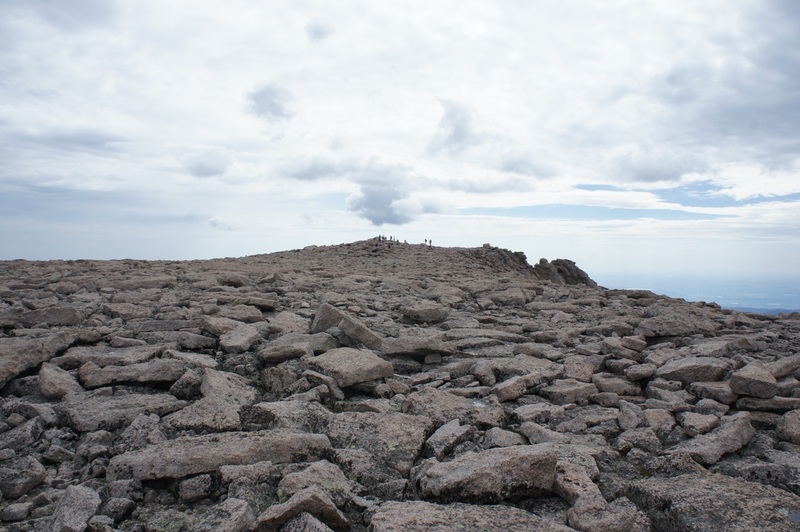 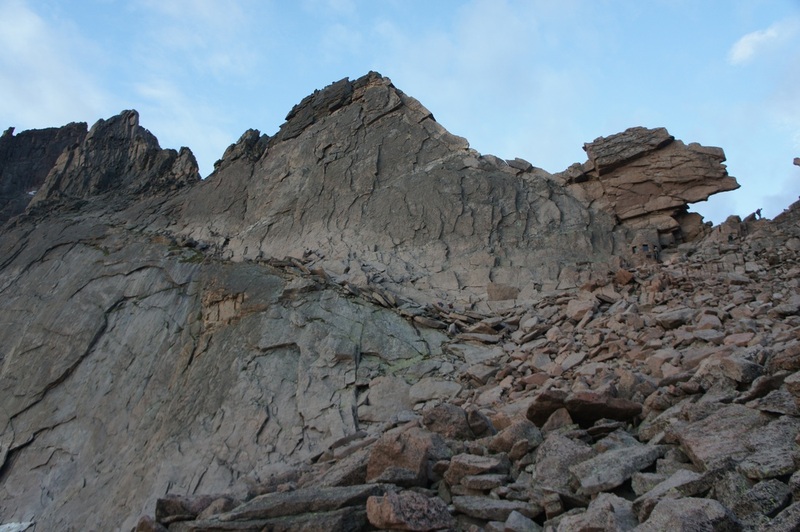 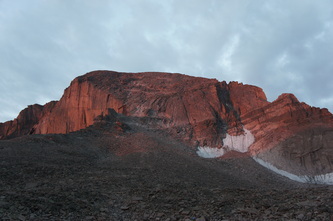 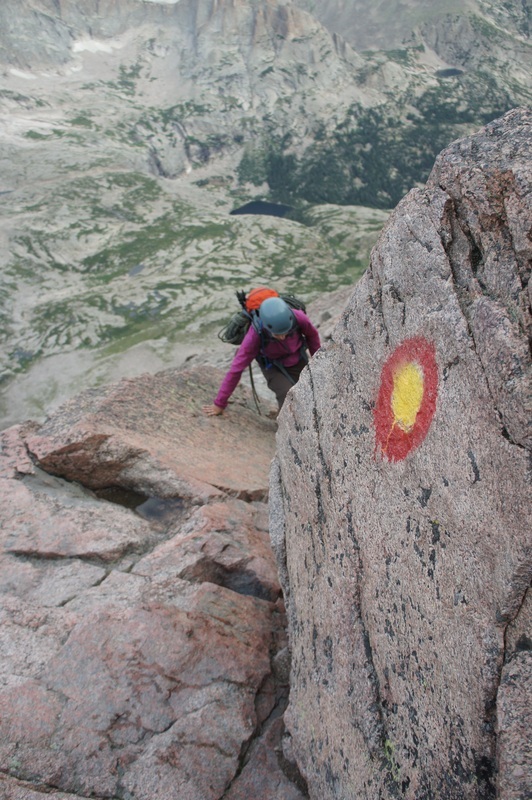 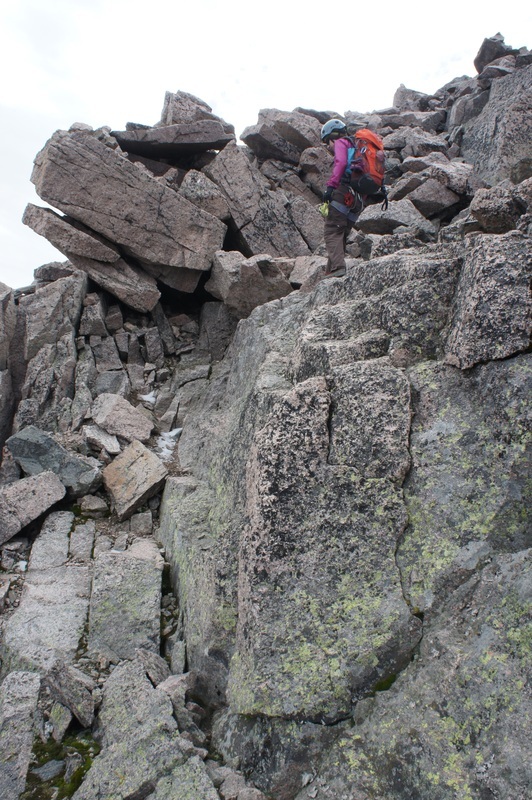 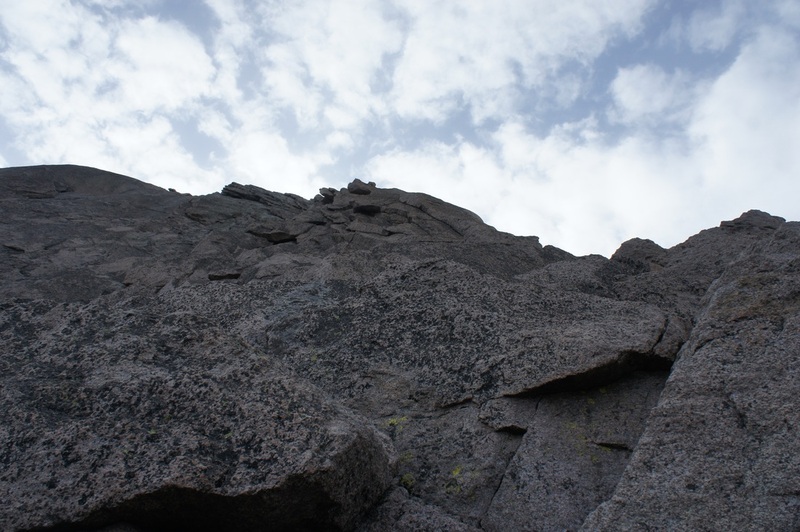 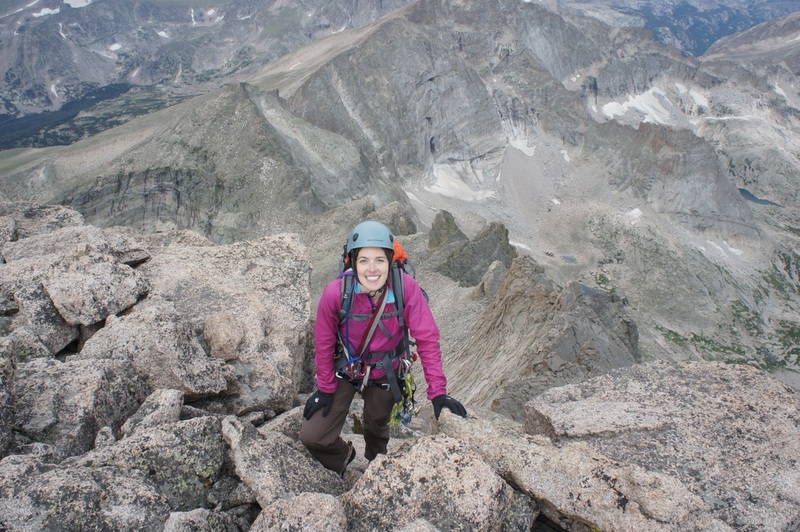 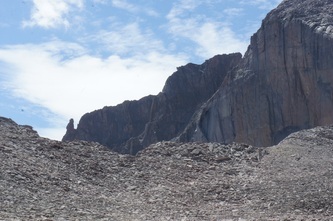 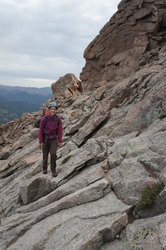 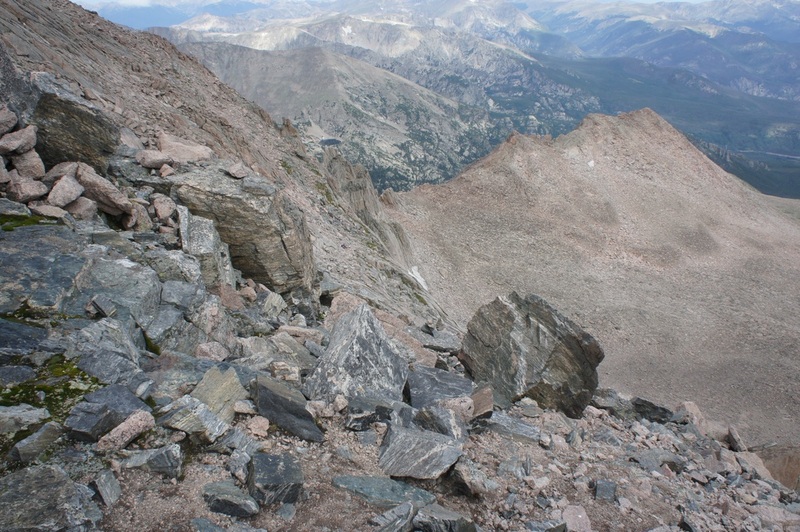 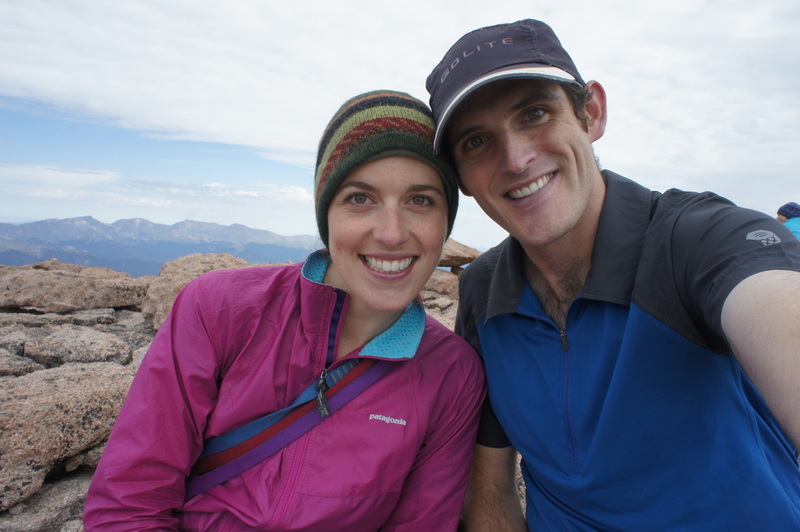 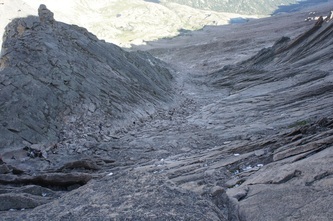 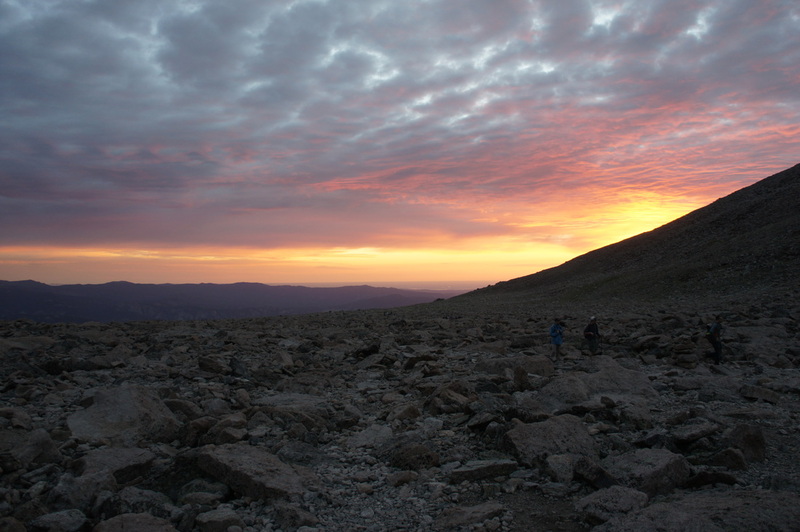 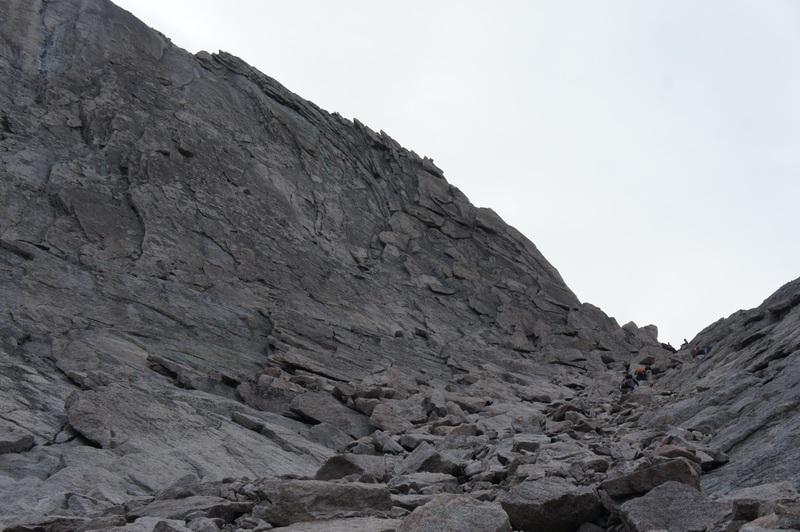 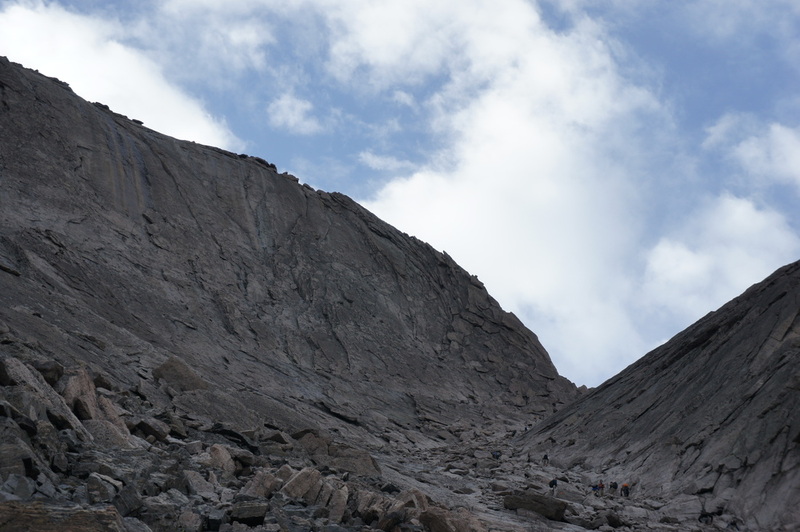 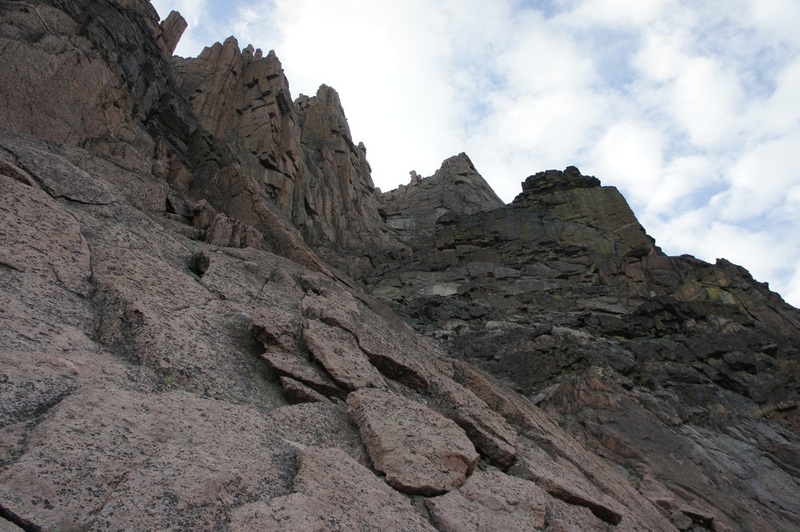 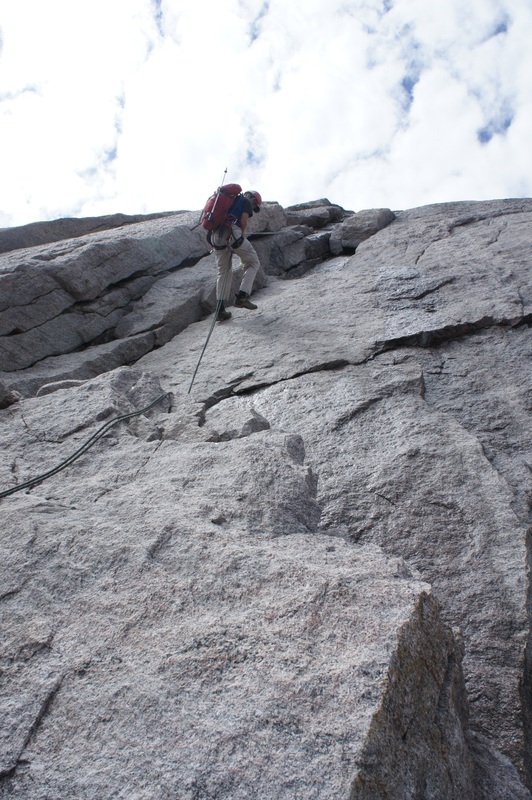 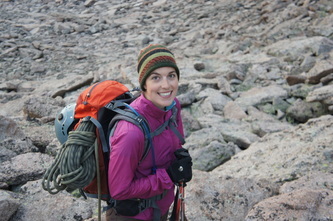 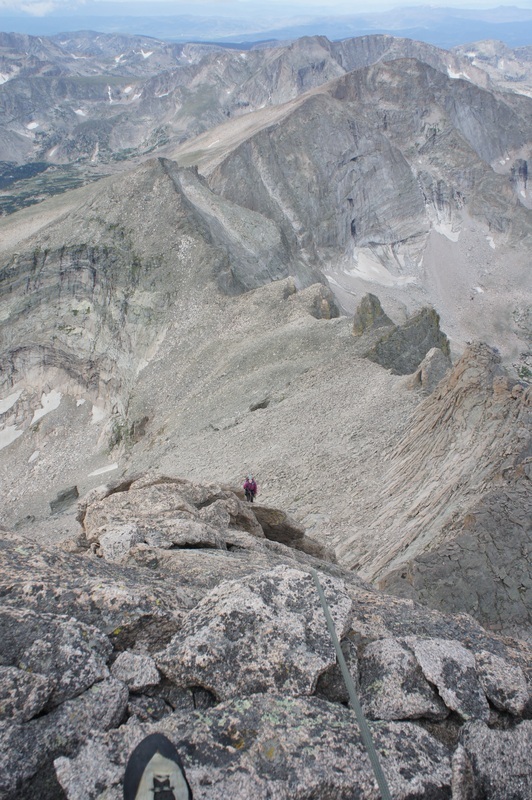 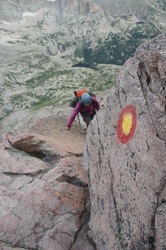 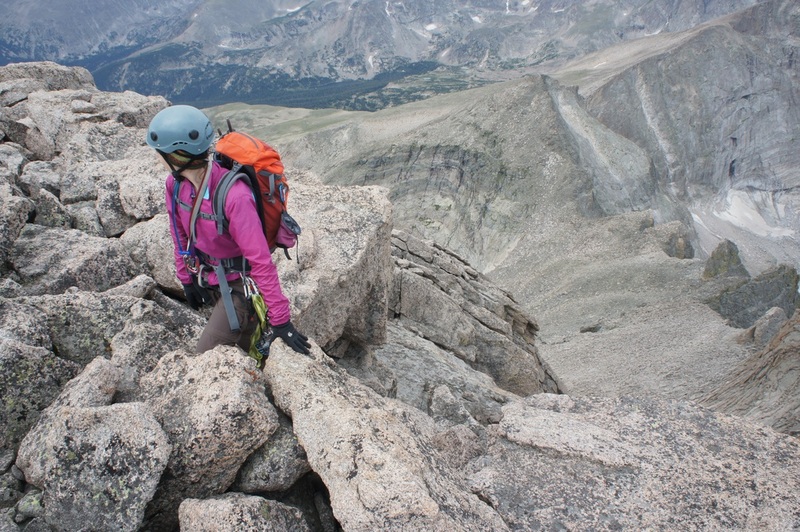 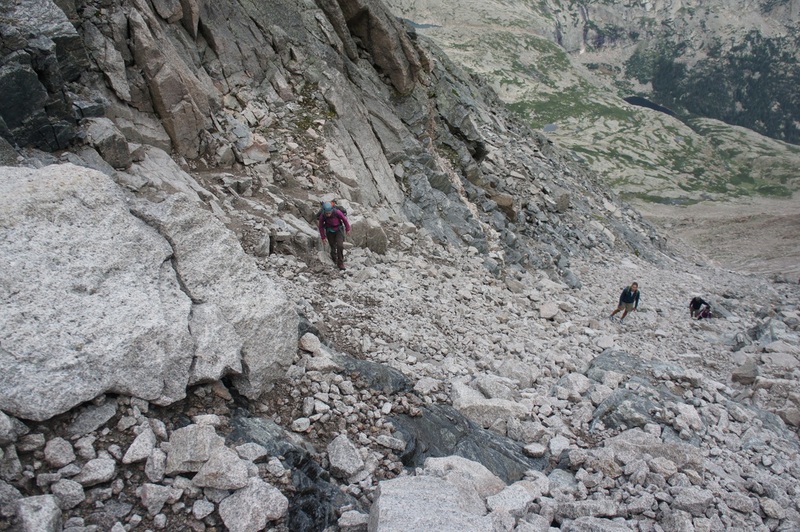 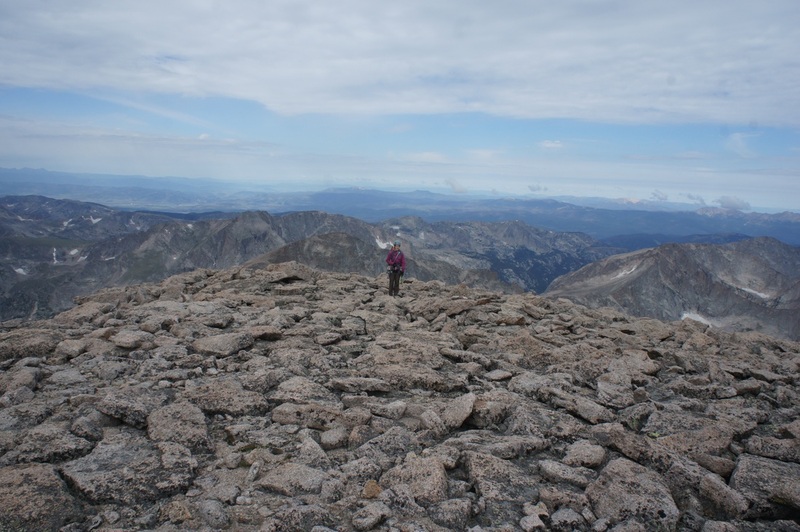 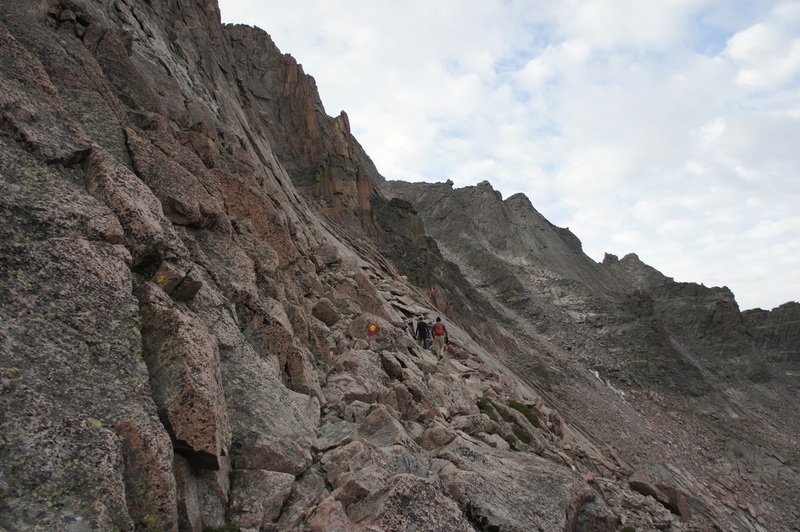 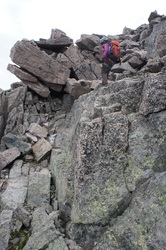 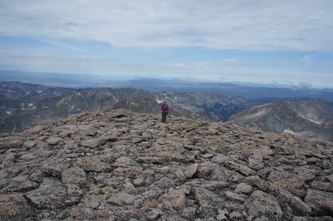 The West Ridge of Longs Peak is a seldom-climbed technical variation that continues from the top of the Trough straight up to the summit plateau. 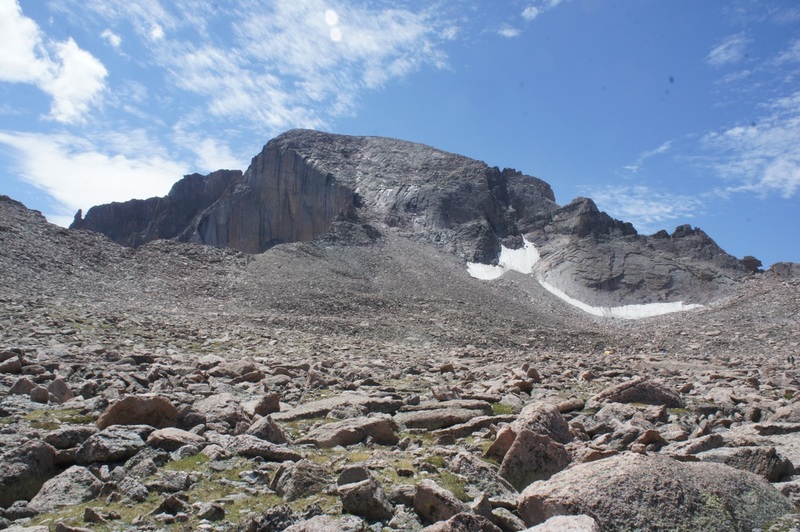 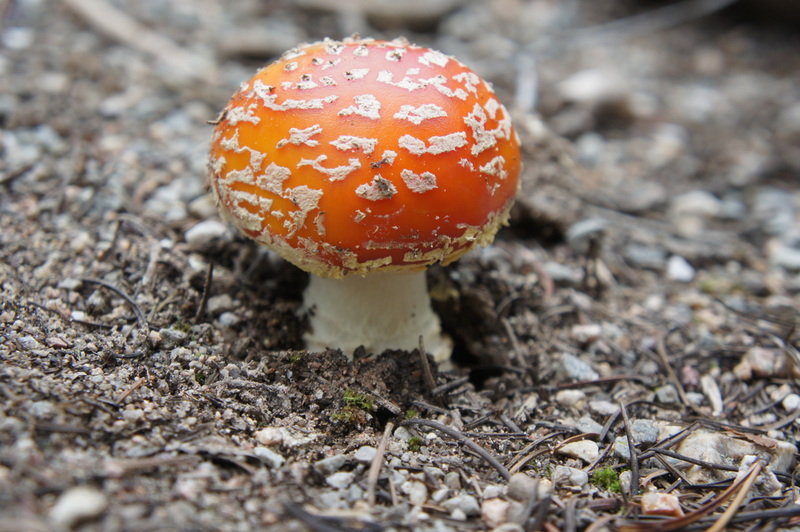 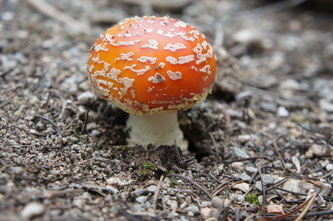 It goes at a modest 5.4 and not only attracts the attention of the many hikers below but provides an abrupt arrival on the summit. 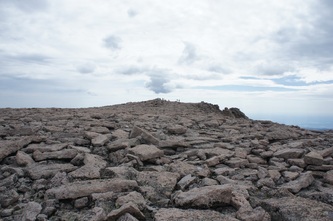 It is possible that this was first ascended by Enos Mills but this is only speculation. 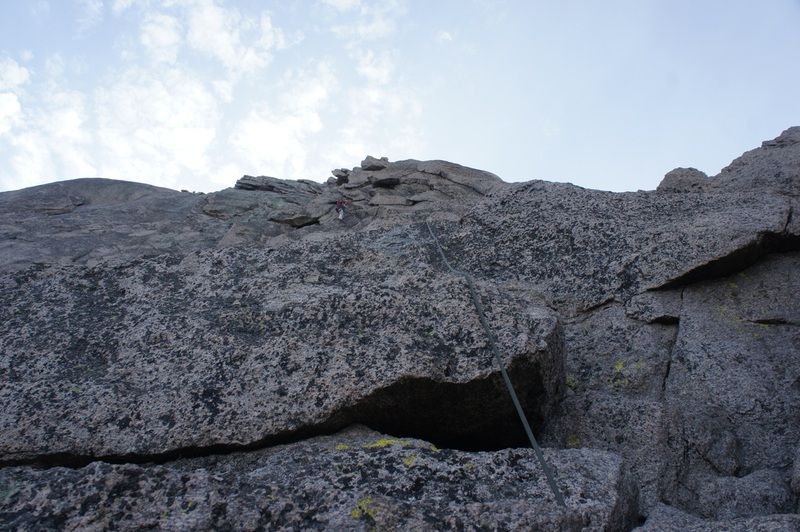 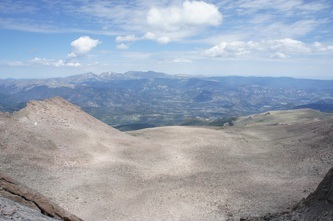 Climbed this with Jen for my 7th time on Longs and Jen's 2nd. Approach: Follow the standard Keyhole Route to the top of the Trough. Drop your packs at the base of the chockstone that leads to the narrows and rope up. P3 - 5.4 - Move cleverly past the large blocks above by traversing right. 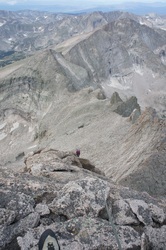 You are above the narrows and will be looking straight down on the other hikers on the standard route. 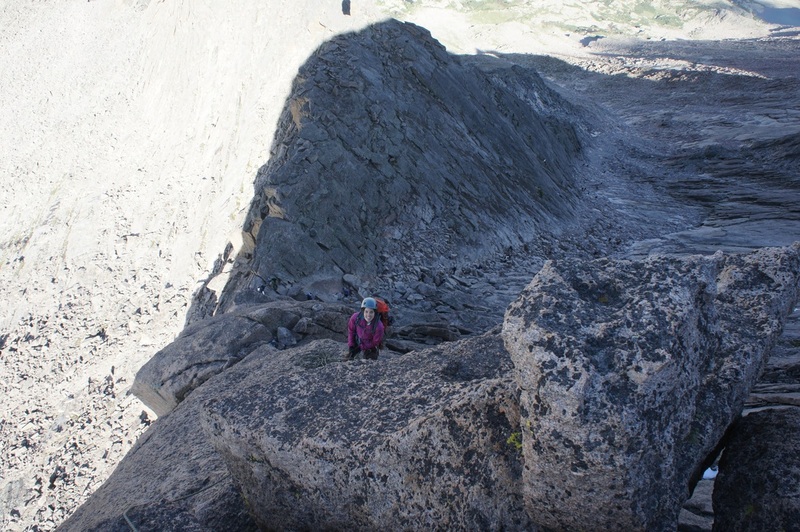 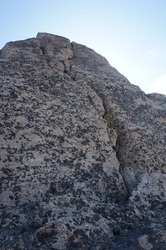 Climb up past a small overhang and follow a small right-angling crack to gain easier terrain toward the summit. 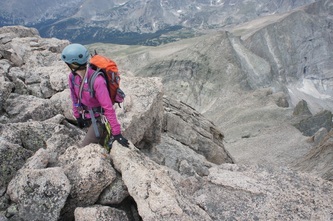 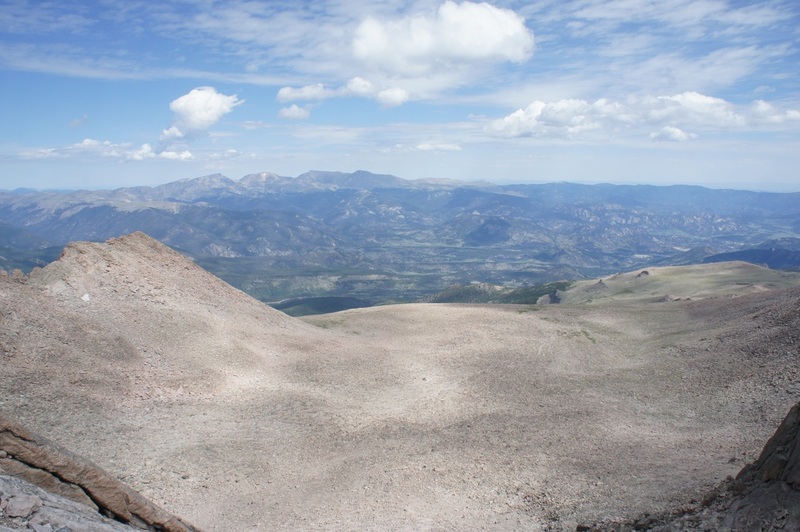 Follow the ridge until you run out of rope and belay in an uncomfortable pod. 200' and slightly runout. P4 - 5.0 - Un-rope and scramble toward the summit. The large blocks that bar the way can be passed through a small weakness about 15 feet to the left. Your arrival on the summit is very abrupt. Descent: Descend either the North Face of the Keyhole Route. 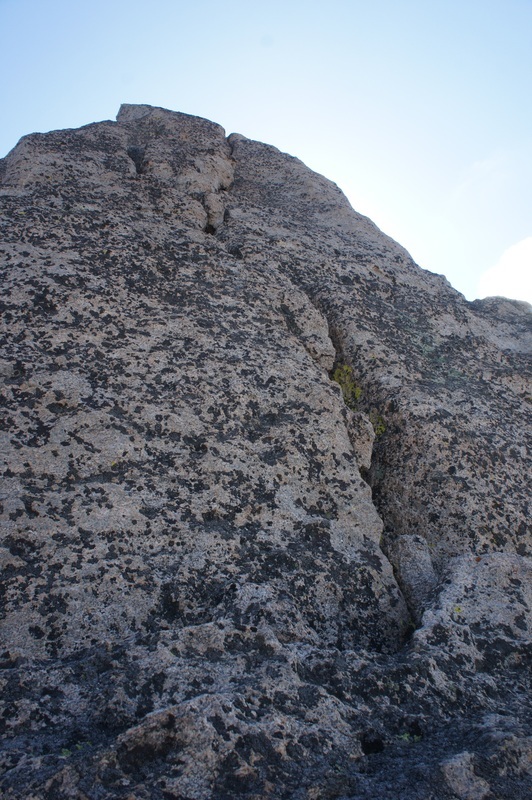 Thoughts: This is an excellent variation to the Keyhole experience. 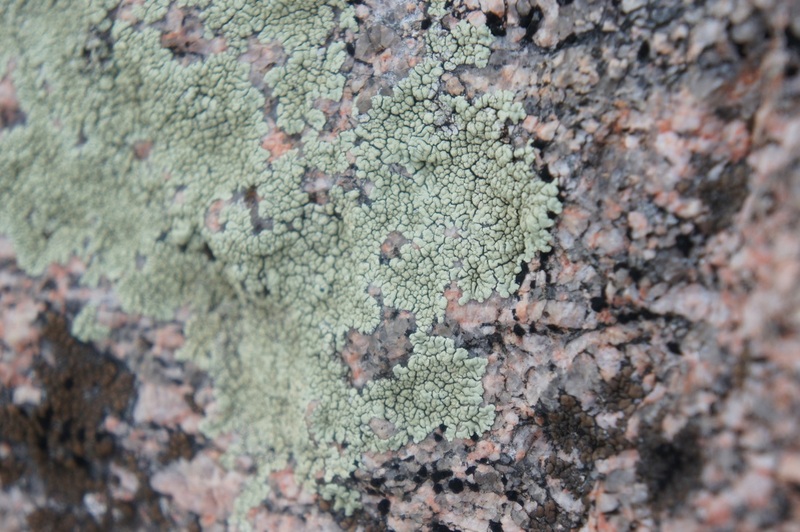 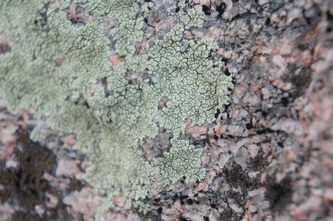 The climbing is generally good, although most of the rock is covered in lichen and the exposure down to the Narrows is exciting and adds to the experience. 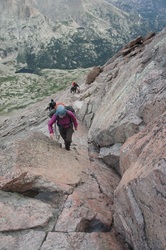 Be careful not to trend to far left into the "inviting" cracks or you will end up climbing wet rock like we did. 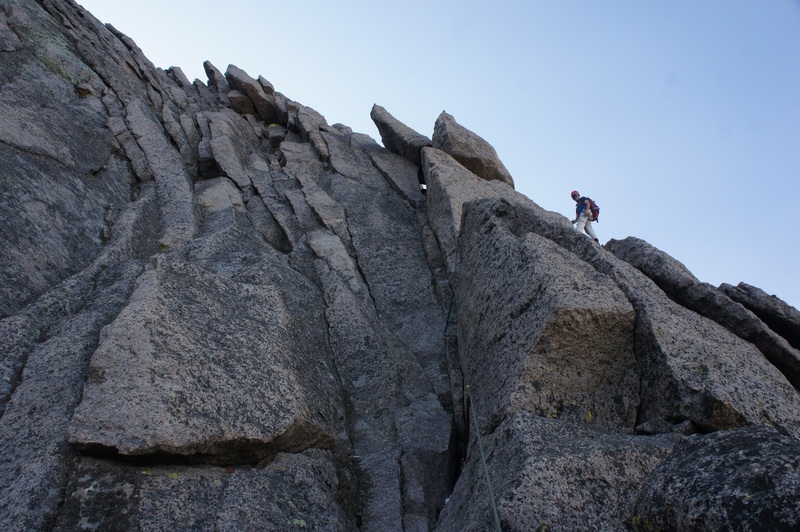 Finally, be wary of the other climbers below you because 1) If you knock anything down (and there were several large loose blocks) you could kill somebody and 2) On the first pitch people can get tangled in the rope and almost pull you off (this happened to me!). 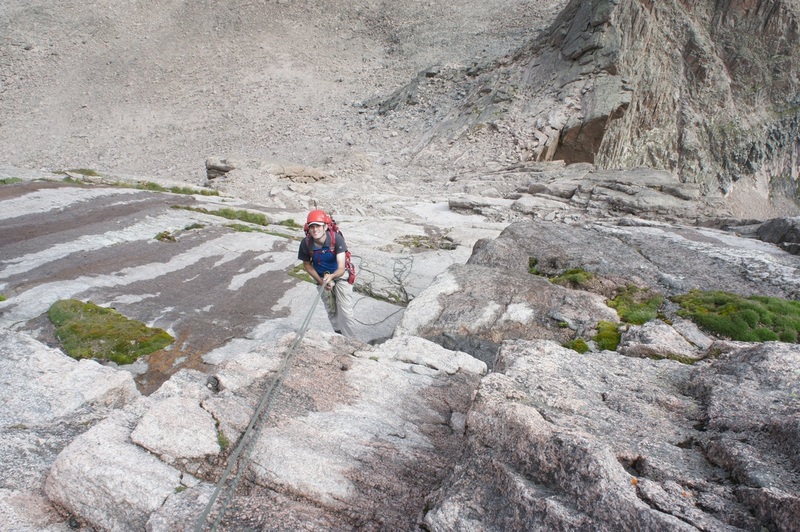 Gear: 1 set of nuts, TCUs 1-4, C4s 0.5-3, 8 slings.